What's the best thing about winter? The cozy accessories of course! 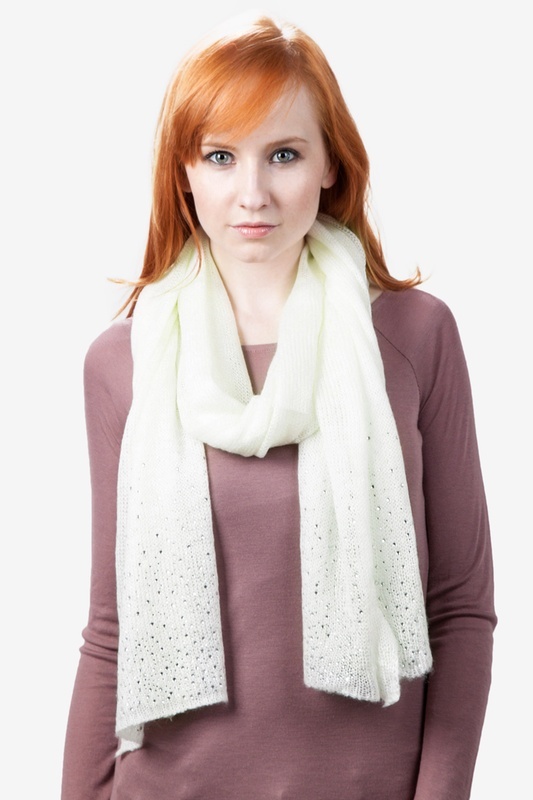 Beat the cold while showing off your impeccable fashion sense with our must-have rhinestone sparkle scarf in ivory. 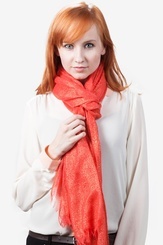 This soft acrylic-blend scarf features... read more What's the best thing about winter? The cozy accessories of course! 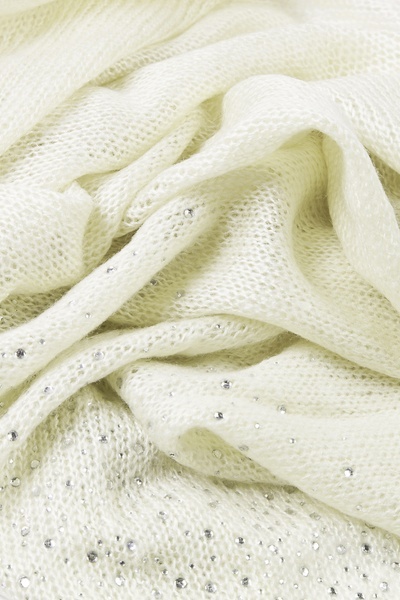 Beat the cold while showing off your impeccable fashion sense with our must-have rhinestone sparkle scarf in ivory. 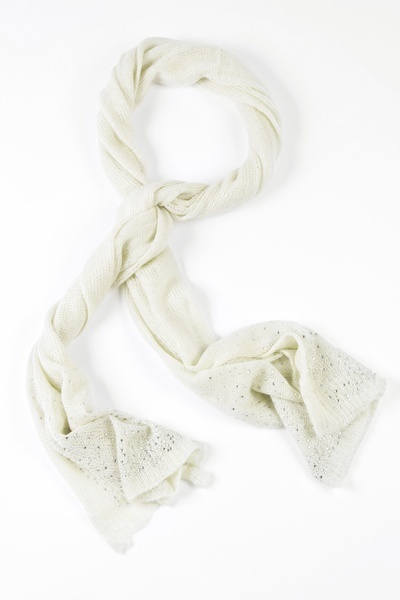 This soft acrylic-blend scarf features a fabulous knit texture that leads to a fun rhinestone edge. We think it's just the right amount of bling without going overboard. Besides, every girl's favorite color is sparkle, right? Imported. The color is a very soft ivory, and the stones add a beautiful accent. The quality exceeded my expectations. 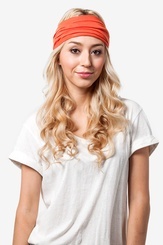 It can be used to dress up a casual outfit, or as a fashionable accessory to add to an already dressy look. 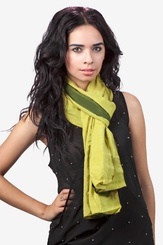 Great for a holiday look! 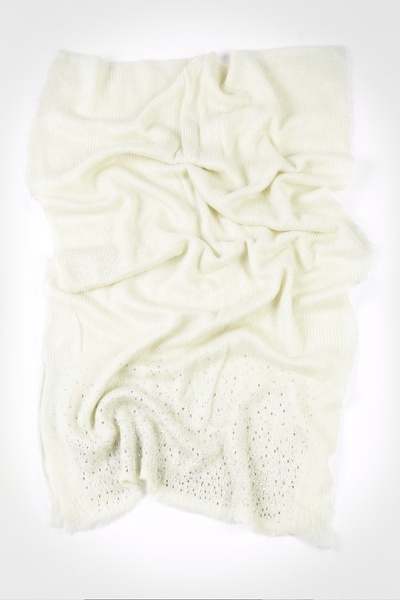 It's soft and very pretty. The only thing is, it's more ivory then white. 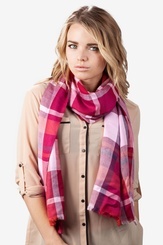 A scarf to wear with jackets rather than shirts.